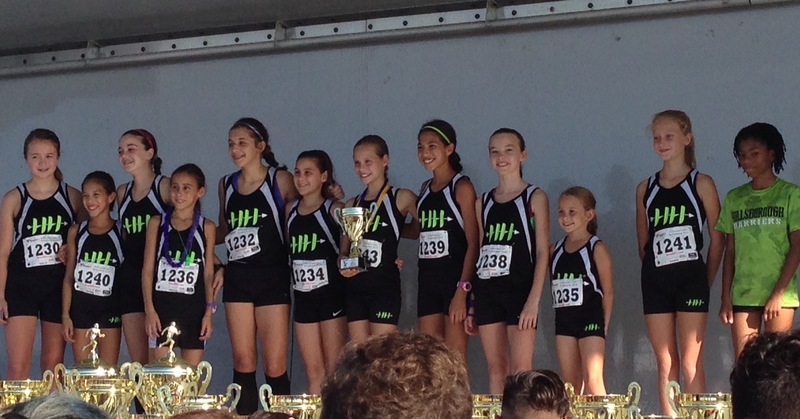 This past Saturday, the Harriers picked up the biggest trophy in team history: FLRUNNERS CHAMPIONS! The girls barely snuck by a loaded Miami Elite team, and many PRs were set along the way — it was truly a front-to-back team effort. The boys also ran well against the best field in the state, and helped pace the girls to victory! Did I just type October? Wow, does time fly. But the season has now truly arrived — let’s get in shape! Please note the new times for the practices! With the sun going down earlier and earlier, we will need to move the practices up 15 minutes. Please just text me if you’re going to be late. 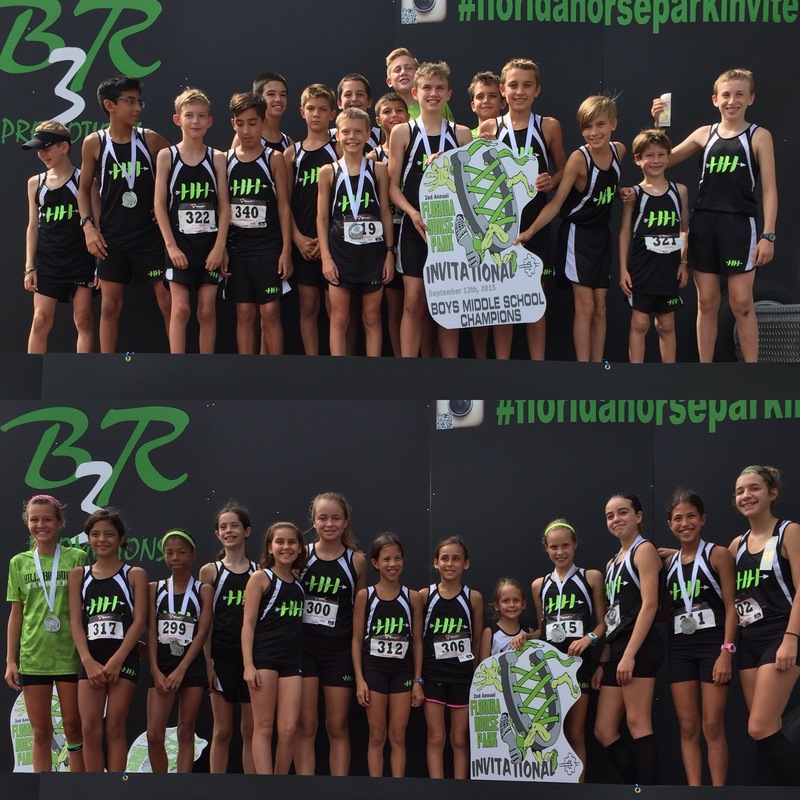 Congrats to both the boys and girls teams, who marched to huge victories in this Saturday’s Florida Horse Park Invitational in “rainy” Ocala. (It never rained.) We had the winning girl and the runner-up boy, and captured nine of the twenty medals awarded. And plenty of Top 50 ribbons! Here’s this week’s practice schedule. No meet this weekend, so we will get a good week of training in during the week so that we’re ready for the next meet in 13 days. I’m going to push our luck and leave practice at 6:45 this week, but we will need to start running each evening at 6:45 sharp — please text me if you’re going to be late! Below is this week’s practice schedule. No practice Monday, so enjoy your Labor Day!